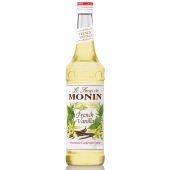 Based on the popular, classic confectionery and well known liqueur, Monin Butterscotch syrup was originally developed to satisfy demand in Australia. A nostalgic taste of a traditional sweetmeat, Monin Butterscotch delivers a moreish sweet buttery flavour. Butterscotch’s primary blend of butter and brown sugar is sometimes combined with cream, sugar, salt and vanilla and is often used in the form of a sauce or syrup as a dessert topping and in biscuits and cakes.